I just wanted to send you a message to tell you how much I appreciated and LOVED your book! I believe it was by no coincidence that our paths crossed, and your book came into my life right when I needed it! When I ordered the book (it had been on my “to read” list for a while) I was in a place when I was tired of being stuck and needed that flicker of light, of someone who has walked the path ahead of me to spark that drive in me to strive for health and acceptance again. My journey has been in interesting, winding one, and sometimes I feel a “lull” in my energy, but I am now re-energized again. I recently had given up on the concept of healing. I now realize that I did not fully understand the concept. I was confusing healing with the idea of integration or acting like it didn’t happen. I thought the only “cure” could be a time machine to take me back to that time and place so I could change everything -lol. Now I understand my health can be restored– I understand those definitions now, despite what I experienced. I appreciate what you said about the lower chakras and needing to bring awareness of your emotions and validating them so they can be released. Funny thing is, I grew up journaling– I’ve always had lots of emotions. However sometime in my adult life I stopped, because I became so annoyed with my own emotions, that I could no longer stand to see them on paper. I no longer wanted to be that person, so I just didn’t acknowledge them (poor choice — now I know!) About 5 years ago I actually burned all my journals in a ceremonial sense of disconnecting myself from the past person I used to be, as I had grown. But now I know, how far I had yet to come– as I had not resolved or fully became aware of my issues. About a year after the traumatic birth, I was gifted a journal and told I needed to journal all my negative feelings. I now understand the importance. 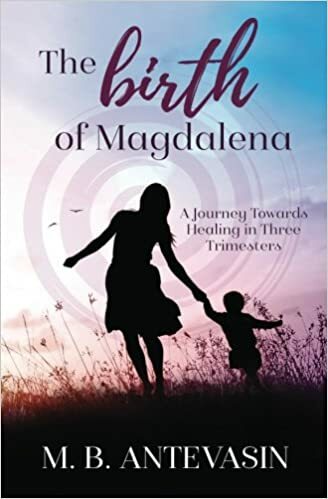 I have never read anyone explain/connect our spiritual selves with the birth as you did in this book! You spoke in the language that I respond to– I know the traumatic birth is too big of an experience not to bring meaning and gifts to my life! Some people, who would not understand would gasp at the concept of gifts from such a horrible experience that had some horrible consequences to all those involved. However, I’m learning from that birth and I have found my voice to advocate for myself, my children, and others. THANK YOU for sharing your truth and the path– you have inspired me and you feel like a candle lighting the way in my own life. To be totally honest, I’ve always felt like you are a fisherman of men, and your comments in the support group on social media have been what I needed to hear, right at the right time– fishing me out of the sea and teaching me to challenge my own set thoughts that are not helpful or that are keeping me stuck. I especially appreciate you sharing your experiencing with other women– I can so relate in my life experience! I just want to give you kudos for your book and thank you again for sharing.